The New Face of Jewel Wire - A Division of Loos & Co., Inc. Many new faces have joined the Jewel Wire team, giving the company access to even more wire experience. We’d like to take a moment and introduce a few of them to you. You may recognize the names of a few that you’ve worked with for many years – showing our commitment to continue to provide the service and support that you’ve come to expect from us. The newer team members listed below are especially excited that we are members of the ABMA, as it gives us the opportunity to get to know all the people that comprise the companies in the industry. As President, Richard oversees the business as a whole to ensure we are maintaining our position as a leader in the industry. He has been with Loos & Co., Inc. for 27 years and thus has a wealth of experience with running a successful business. 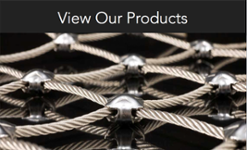 “Being a member of ABMA has allowed our Jewel Wire Division to constantly innovate. We take pride in providing our customers with the highest quality brush wire order after order. 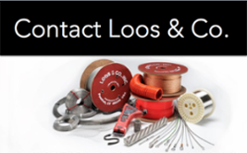 Loos and Company’s Jewel Wire Division looks forward to the annual meetings held by ABMA,” says Richard. As the Quality Manager, Jeff ensures all of our products meet our customers’ rigorous standards. Jeff and his team take responsibility to ensure that each and every product is made accordingly. As the Wire Mill General Manager, Joe oversees the day to day operations of all wire production. For brush wire specifically, he is responsible for ensuring our products are being made on time and to the specifications the customer has provided us. “Jewel Wire is in an industry that is extremely diversified. As manufacturers, we know that the product we make must perform exactly the way we say it will. It is my job to ensure our whole team understands that,” says Joe. As the Wire Mill Supervisor, Ken takes a hands-on approach to manufacturing. He is directly responsible for overseeing each order for our brush wire customers. As our Wire Mill Sales Manager, Mike is responsible for ensuring our customers receive exactly what they asked for when they asked for it. 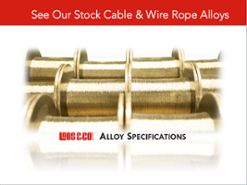 He has over 30 years of experience in the wire business and has become somewhat of a wire aficionado. “After 31 years in the business, I am still passionate about what I do. Being able to see our Jewel Wire customers using our products in unique applications is one of the most exciting parts of my day,” explains Mike. As the Jewel Wire Inside Sales Representative, Deb deals with our brush customers every single day. She is the voice of our customers—explaining to the rest of our team exactly what they expect. Deb has been working with Jewel Wire for 18 years so she knows the brush industry inside and out. From all of us here at the Jewel Wire Division of Loos & Co., Inc., we would like to extend a sincere “thank you” for the continued business, and for welcoming our new team members to the ABMA. As a member of the ABMA, we are excited to work with the leaders in the brush industry. We’ve added to our 60 years of experience by combining the talents and expertise of these two unique and successful companies. Recent changes have ushered in a new era for “The Gem in Brushwire,” including many new faces on the Jewel Wire team, and we are excited to see what the future holds. If you’d like to speak to any of our Jewel Wire team members, please call (800) 533-5667 or email [email protected].